A cool spin on traditional dog tags! 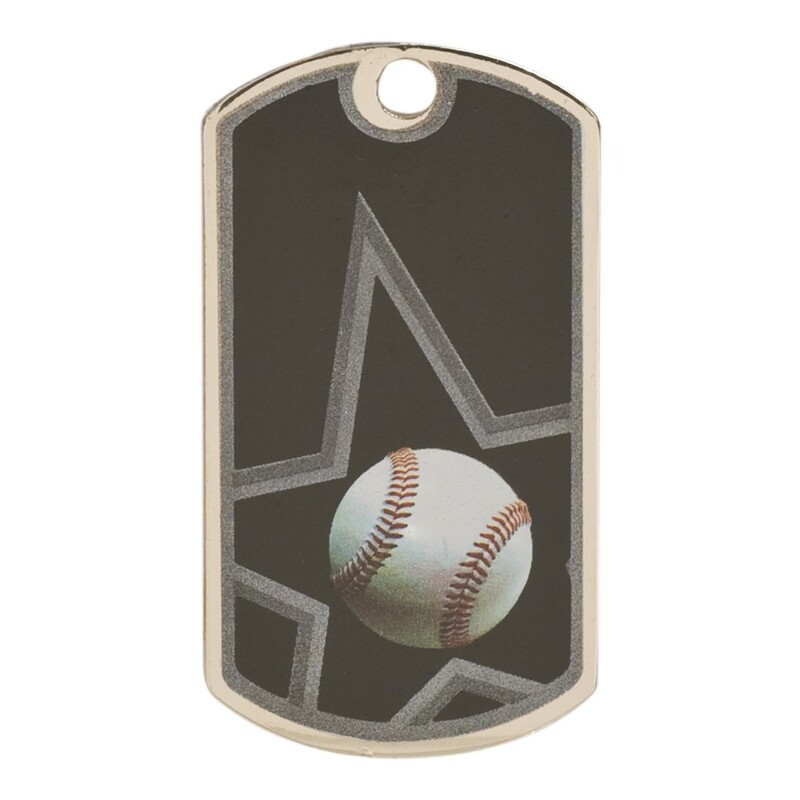 This Black Baseball Dog Tag features a full color baseball surrounded by a star on a black background. 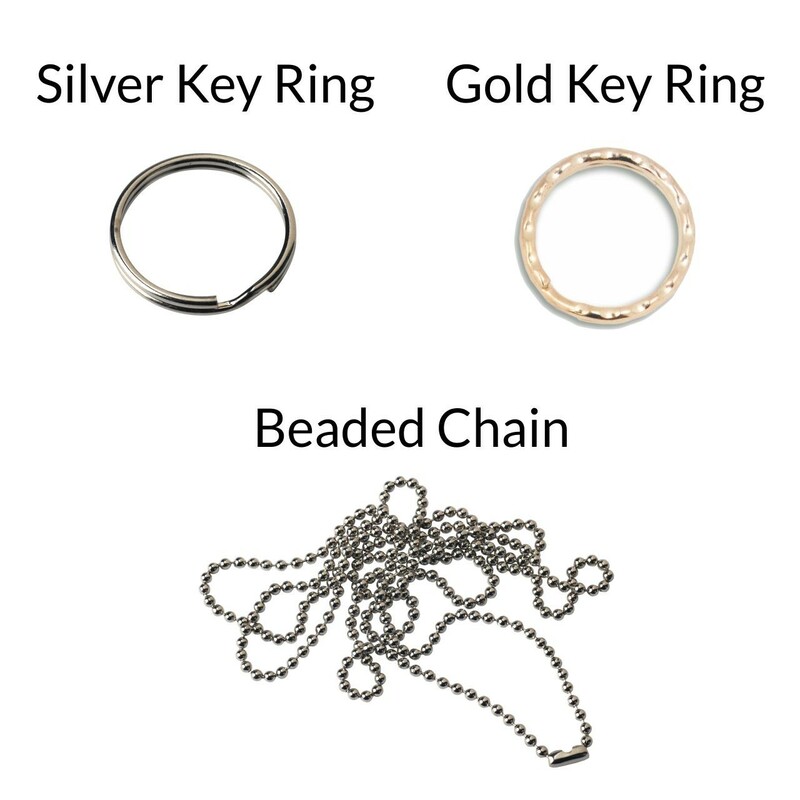 Available with a beaded neck chain, key ring, or even both! Your personalized engraving will be done on the back of these tags. Looking for a cool new award for your hard working baseball team? Check out our colorful Black Baseball Dog Tags - perfect for older youth!